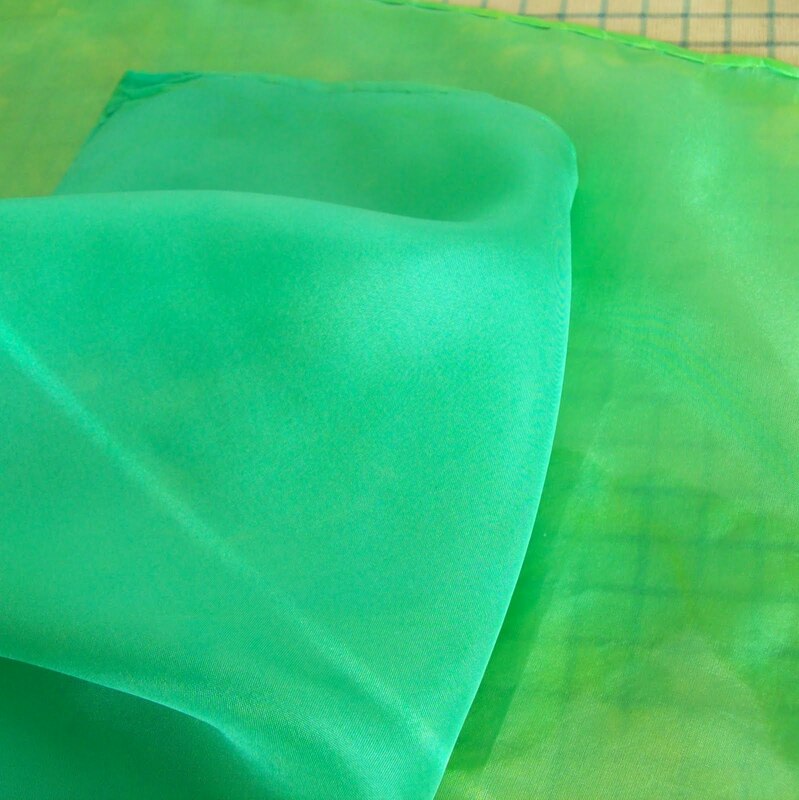 Making play silks at home is a fun easy project- it’s easy to make beautiful colors of silk to give as gifts and let your children’s imaginations run wild. The silks are ordered online, and then the dye is just Wilton’s cake dye. Our family doesn’t use food coloring in food, but it’s a relatively nontoxic dye for decorations and play things. 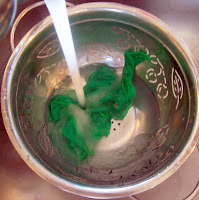 What do we use dyed silk for? I started doing these primarily for the kids. 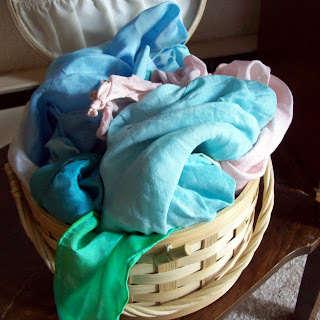 Play silks, called silkies too, are perfect for imaginative play. Any child who loves emptying the hall closet of blankets to build forts would know just what to do with big silk squares –play clips are the the perfect tool to secure to chairs, but beanbags can be used as well. Fixing the ‘collapses’ is most of the fun in home-tent building anyway ~grin~. For the aspiring fashion designer, they are perfect for dress up. We tie ours (loosely!) around our neck and run around, letting our capes flow behind us as we dash off to save the world. With decorating, they add a really pretty handmade look to any place that needs a little color. A larger one can be a tablecloth, a scarf can be a table runner, and they can be folded and placed across a shelf to add color under a collection. I suppose they could be worn as scarves too, though I’ve never actually done that! 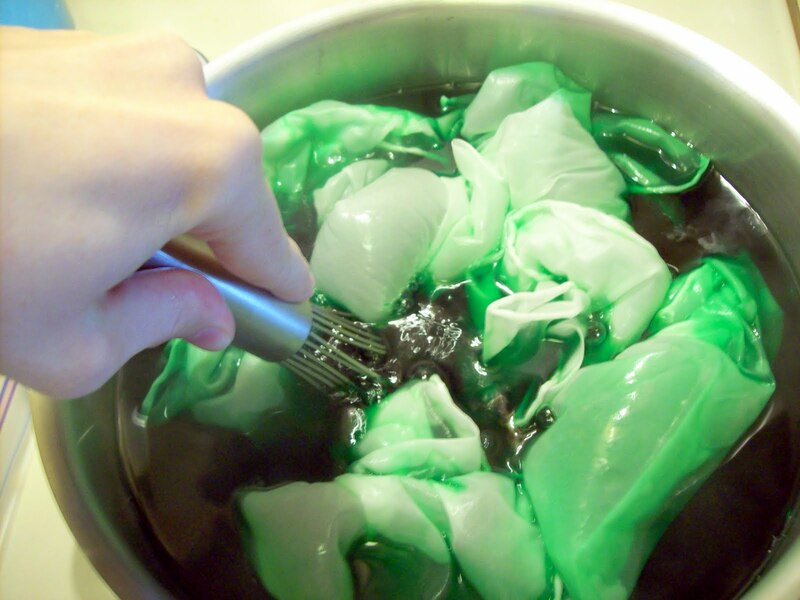 You need dye, vinegar (just to disrupt the pH so that the dye uptakes), and silk scarves. One tub of Wilton’s Cake Dye does quite a bit. 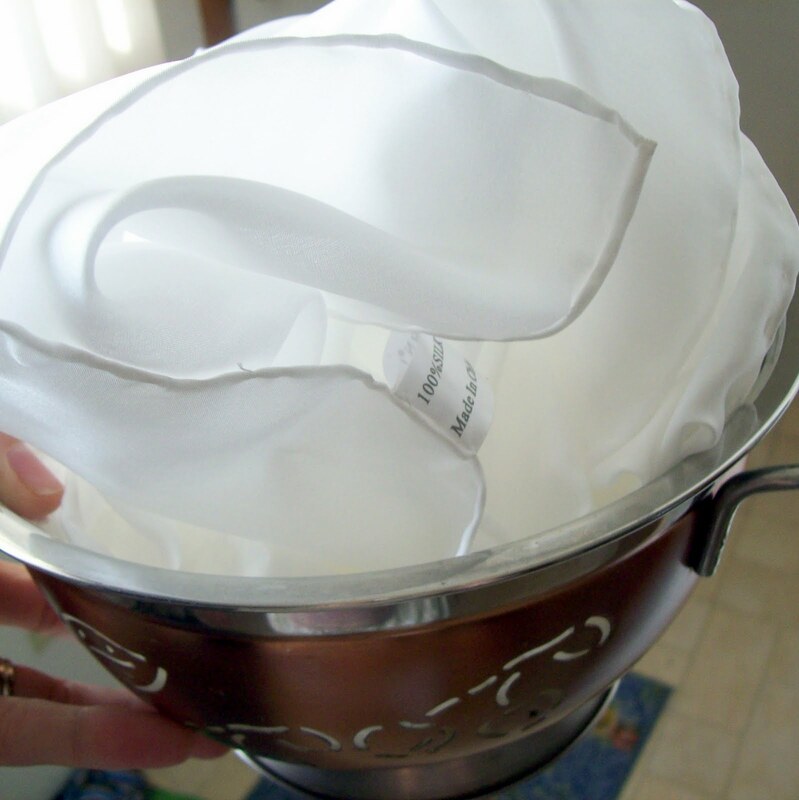 I did twelve 36×36″ silkies and twelve 11×11″ ones with one tub. 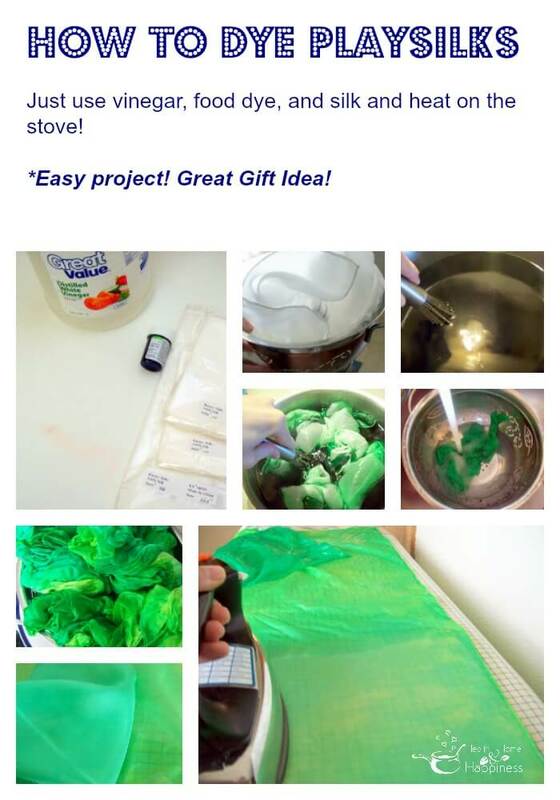 I’m using leaf green here (Walmart has these, as well as craft stores that stock cake decorating supplies). Moss green is really pretty too- more of a sage. The colors don’t always turn out exactly as pictured on the label, but they’re still pretty. I’ve used Cornflower Blue before, and it separated into a deep purple and light blue during the dying. Reds have washed out for me to a mauve or pink. Yellow seems to be pretty predictable, as does green. I did better getting purple from cornflower blue than I have from something that’s actually supposed to be purple. You can use Kool Aid too- I use one package per 36″ silk, and you don’t need the vinegar if you use Kool Aid since the citric acid in it does the same thing. Just use the unsweetened packets that are 0.19 or somewhere around there at your grocery store. It’s not an exact science but it’s good for those of us who like pretty surprises and don’t stress about exact color matches. 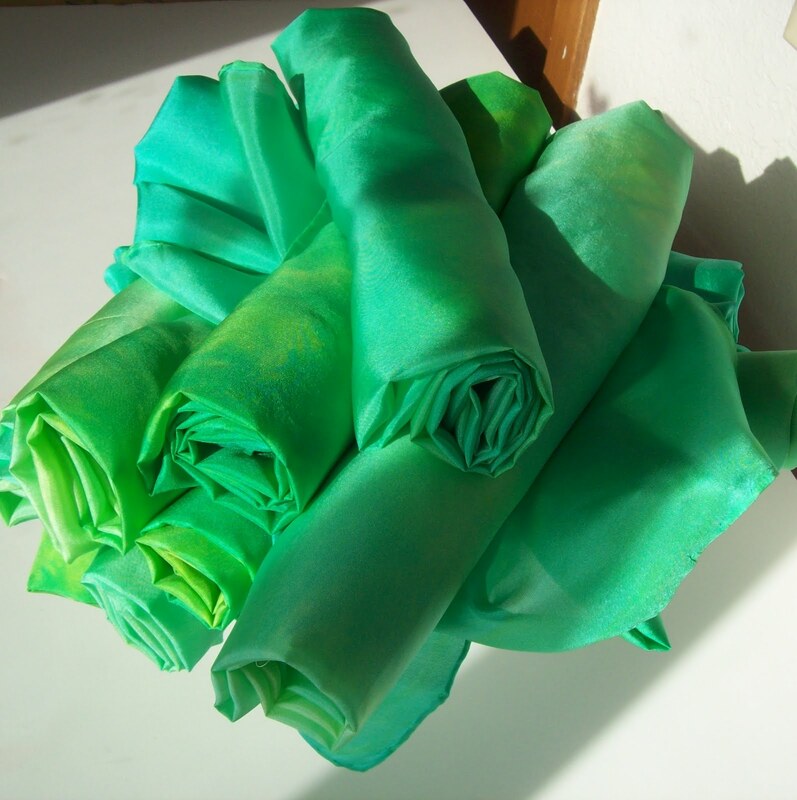 I buy my silks at Thai Silks– the ‘China Silk Scarves’ is what I use for these. The 44″ x44″ ones make really pretty table cloths and forts. That size is a little big for my toddlers- they get caught up in it and it overwhelms them. The 36″x36″ is a really nice size for everything. 22×22 is a little more manageable for little ones, and the 11×11 are fun to play peek-a-boo with. They come with finished edges that are sewn with silk thread, so it takes up the dye too. 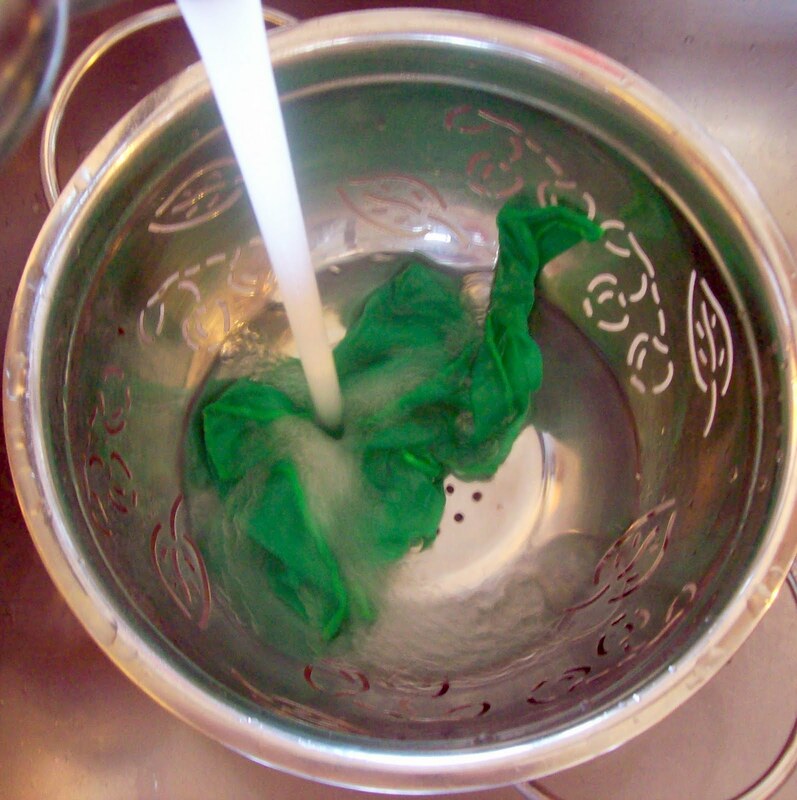 Cotton or polyester won’t take up the dye. (Wool will because it’s a ‘protein fiber’ as well). Once you have everything, start a big pot of water boiling. Unpackage your silkies and shake them out so they’re not folded any more. 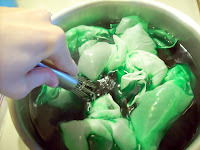 Get them wet with warm or cold water- this helps the dye to be absorbed more evenly. 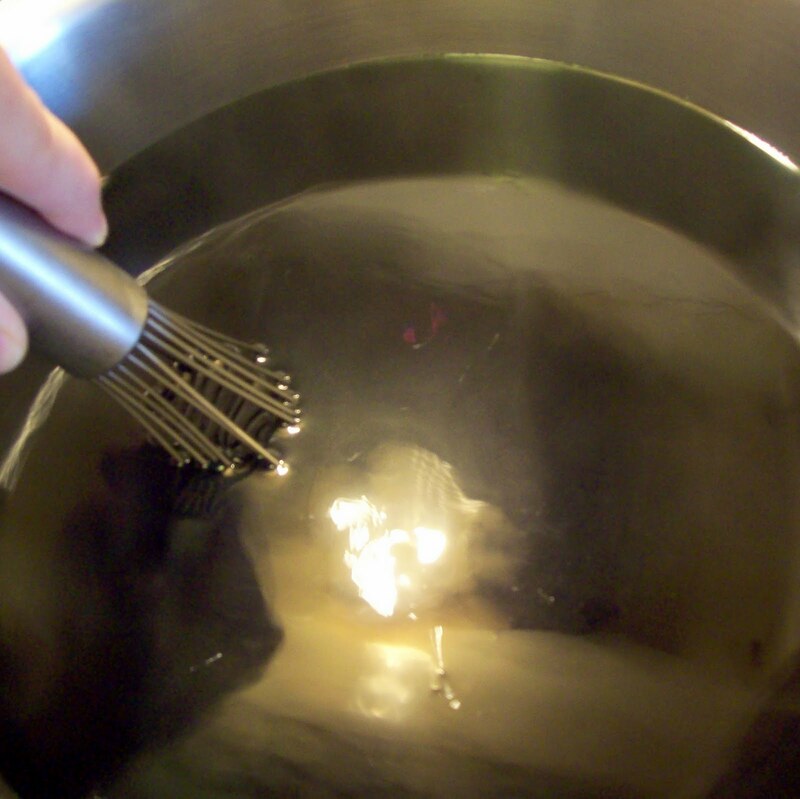 Once the water is hot, turn the burner down to medium-low, add in the dye, and mix throughly with a whisk or fork to break up clumps. Add a couple tablespoons of vinegar. Any clumps of dye will leave splotches on your silk, which can also be a cool effect but isn’t what I’m going for here. Add your silks in. 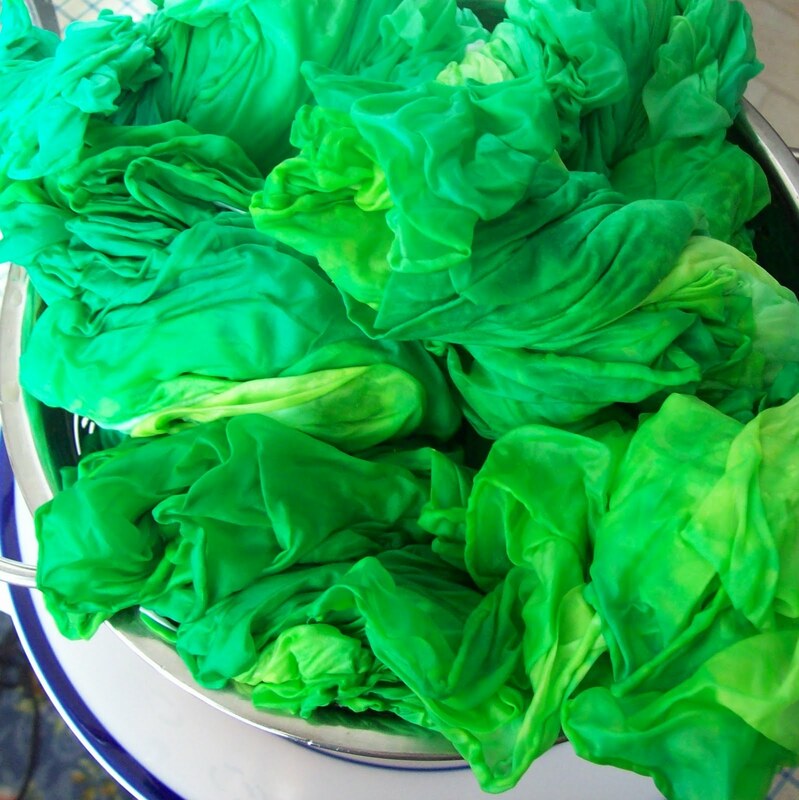 For more evenly-dyed silks don’t pack the pot full. This is pretty full, and it makes it have more color variations as different parts of different silks will take up more dye than others. Allow to stay in the water 10-30 minutes- the longer they stay in the water, the more saturated the color will be. I like to have a few smaller silkies in there (the 11×11 ones) so that I can test for color easily. To see how the color looks, remove, and then rinse with cold water until the water runs clear. I like how this looks, so I rinse them all. You can line dry them, but they’re really soft and pretty if you iron them when they’re still damp. 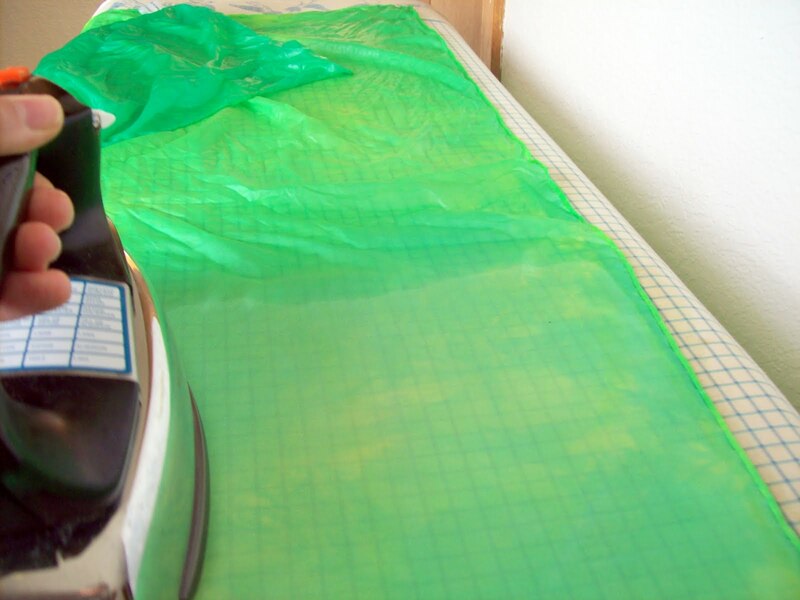 I iron with a hot iron, no steam, moving quickly to avoid leaving lines as the water evaporates. 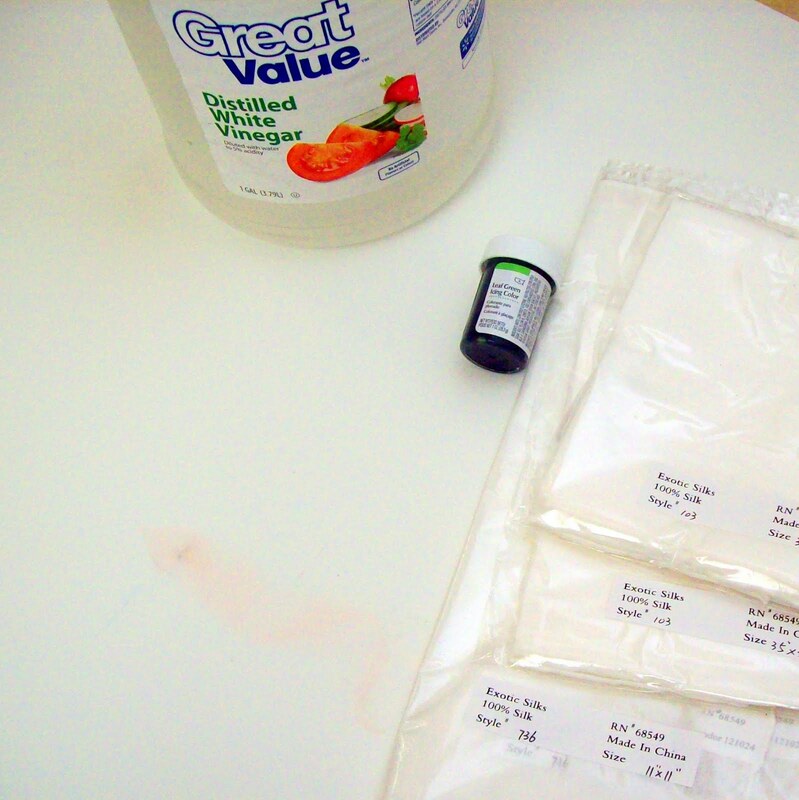 Cover your ironing board with a towel- some of the dye will come out even if you rinsed really well. See the difference? These were in the same pot, just one was on the bottom getting more dye than another. With something like green, the blue and yellow will uptake differently- so the silks that are absorbing more of the color first will be more bluish (since the blue is quicker to absorb) and the silks added later are more yellow. I know, I didn’t cover my ironing board with a towel. I don’t iron clothing, just craft projects, so it’s not really an issue. That’s it! I like to roll them up to give as gifts, or use as gift wrap for a special present. We keep ours in a basket, but they look really pretty hanging from pegs if you have wall space. Cake dye just has tons of variety :) I haven't tried easter egg dye before, I have done some natural but I kinda like the artificial bright colors. Those are beautiful! I never in a million years would have thought about dying play silks with Wilton cake colours! 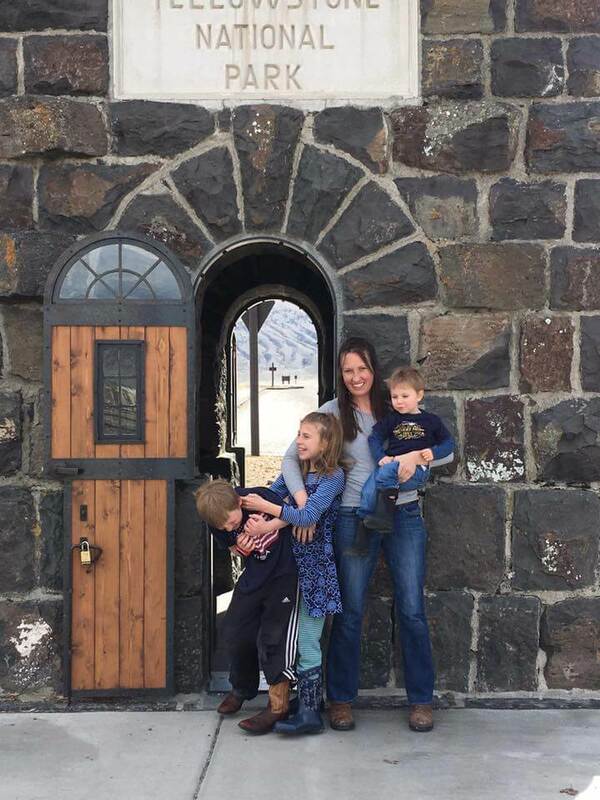 Thanks for a great post, my kidlets and I will definitely be trying this in the next couple of weeks! How long did it take for the silks to arrive in the mail? What happens to the color when you wash them? 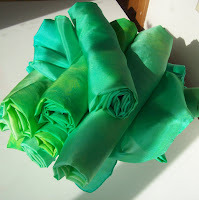 How do you clean the dyed silks? What color Food dye should I use if I want to dye Yellow Chinese Silk Seat Covers a medium Tan or light Brown? Also, do you think a Tea Stain would work? By using Tea Bags that have been Steeped?